Games found: 30. Space sim games, as the name suggests, are all about flying a starship in the vastness of space. The gameplay usually involves space combat, space exploration, trading commodities, taking missions, etc. 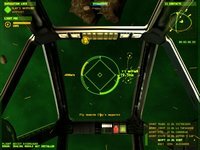 Some of the most popular space sim series are Wing Commander, Elite and X-Wing / Tie Fighter.